Directions: Read each item carefully. Using the scale shown below, please select the number that best describes YOU and put that number in the blank provided. ___7. I worry about my health. The Willpower subscale score is the sum of items 2, 9, 10, and 12. The Waypower subscale score is the sum of items1, 4, 6, and 8. The Future Scale Score is the total of these two scores. Scores range from a low of 8 to a high of 64. What can you learn from this brief questionnaire? How much energy and focus do you have to drive your goals forward? What helps guides you towards your goals? Establish new goals in the face of goals that are blocked or not attainable. Hope is a state of mind—a dimension of the spirit and soul and does not just depend on the present situation. It is NOT the same as optimism or joy that things are going well. Hope is not dependent on any particular outcome.We can, however, not survive without hope. Life is constantly changing and as it does, goals have to change. What you hope for must change as the events of your life (and illness) change. If you live with cancer, you must define goals for yourself that have a future focus. Although the future is unknown, your goals can adjust and change as your life does. Your focus could be living more fully each day . You can put your energy into seeking deeper connection in your relationships, managing physical pain more effectively, staying well to attend an important event, growing in your knowledge or skill in a particular subject. Whatever is important to you now should be the focus of your hope and your goals. Life can shrink as we become more physically limited. Even when someone is nearing the end of life, they can and must maintain some goals. Hope and goals at the end of life must be expressed in terms other than the length of time one has left to live. The focus of hope at the end of life can be directed toward any goal that is meaningful at that special time. Hope is even more basic to human nature than faith. Some have said faith is based on hope. Your faith beliefs or formal religious practices are as individual as each of you. Hope has been said to be a prayer without the formality. Hope is in the realm of spirit and a dimension of the spirit anchored beyond the horizon. It is vital to seek ways to nurture your hope and have future goals. Hopelessness leads to helplessness. 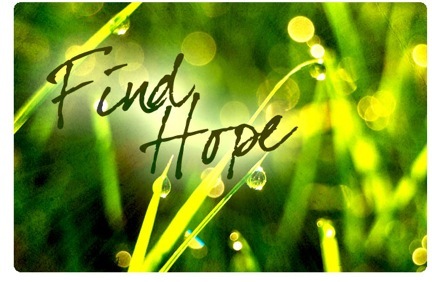 Where do you feel the energy of hope and from whom do you receive it? What situations or relationships drain you of hope? Can you in any way alter your time with those people and seek out those that build your hope? Do you find hope in prayer, meditation, inspirational reading, writing, being in nature? Use this information in any way that will help you begin to focus on your future goals. 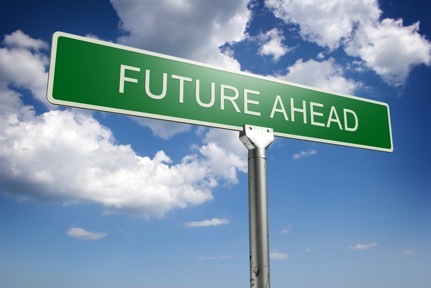 We know that trying to live with a sense of energy and focus and defining future goals is vital to the healing process. To keep a lamp burning, we have to keep putting oil on it. When the world says “ Give up” hope whispers, “ Try it one more time”. There is no hope unmingled with fear and no fear unmingled with hope. Hope is that thing with feathers that perches in the soul and sings the tune without words and never stops… at all.